A new, university-wide initiative aims to arm students and staff with the knowledge and tools to potentially save lives. New incoming students and staff will now be trained in the basics of compressions-only CPR (a form of resuscitation involving continuous chest compressions without mouth-to-mouth, known as CCC), bleeding control and how to operate automated external defibrillators (AEDs) during orientation sessions. 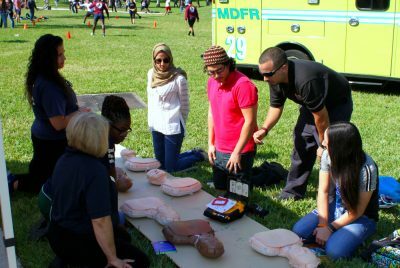 The training accompanies a recent effort by FIU’s Department of Environmental Health & Safety to install AEDs–which are also equipped with CCC instruction sheets and bleeding control kits–in every building at FIU. This includes MMC, BBC and FIU’s satellite locations. Specific locations can be found on the FIU Mobile app and campusmaps.fiu.edu. “We know that every single person here–students, faculty, staff, as well as visitors–could have an emergency on campus,” said Ruben D. Almaguer, the assistant vice president for disaster management and emergency operations. Miami-Dade Fire Rescue responds to an average of 150 emergency calls per year across FIU’s campuses, Almaguer said. So the idea is to equip everyone on campus with basic first aid skills that will help best utilize the time between calling emergency services and when first responders arrive on scene—which, in drastic situations, could mean the difference between life and death for the injured or ill person. This CCC and AED instruction sheet can be found in the AED boxes on the first floor of each building. 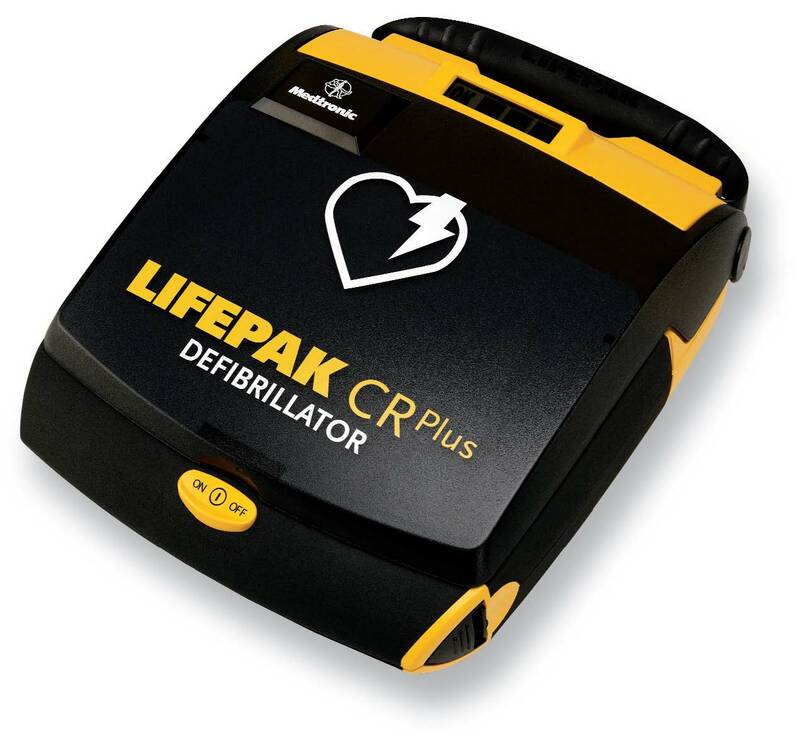 AEDs are used to combat sudden cardiac arrest, which can cause death if not treated within minutes, according the National Institutes of Health. Cardiac arrest is a result of loss of heart function, breathing and consciousness. Symptoms may include chest pain, lightheadedness, collapsing or fainting, and unresponsiveness. 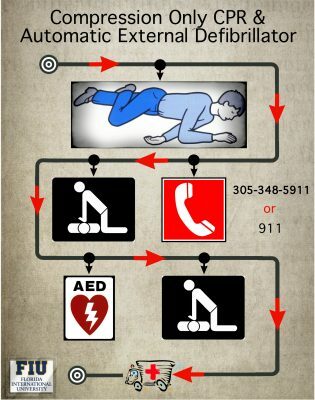 If a person is found unconscious, it is important to act fast to increase the chance of survival. Each minute that passes without CCC and early defibrillation decreases the possibility of survival by 10 percent, and waiting as long as 10 minutes could result in death. 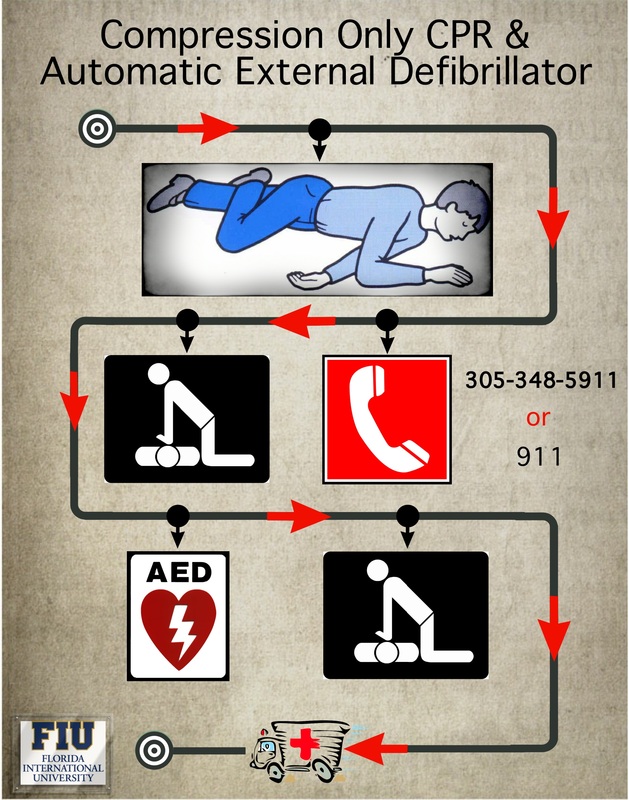 In addition to calling 305-348-5911, the emergency number for FIU Police, begin chest compressions while waiting for responders and use an AED if the person remains unconscious. The video above details the proper performance of CCC and how to operate an AED, which can be found on the first floor of every building near its main elevator. The AED also delivers spoken instructions while in use. It is important to call the emergency number for FIU Police (7-5911 from a university phone, or 305-348-5911 from any phone), rather than calling 911, because FIU Police know the university best and can respond the fastest. In addition to alerting FIU Police, the operator at this number will notify local emergency services, such as Miami-Dade Fire Rescue, to accompany them. 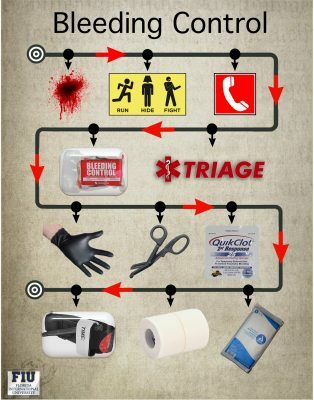 This bleeding control instruction sheet can be found in the AED boxes on the first floor of each building. “[FIU] is a big place. So we try to treat this as a big city or a medium-sized county, and because of that, we have strong police presence, and we have an entire emergency management team in place to protect not just the people, but the infrastructure, to make sure that we can continue to carry out our higher education mission for the South Florida community,” Almaguer said. Also inside the AED boxes are bleeding control kits containing bandage tape, a tourniquet, a blood-clotting sponge, rubber gloves and surgical scissors to address lacerations, bullet wounds and other bleeding emergencies. On Nov. 16, students and staff were introduced to CCC, AED and bleeding control in a free training event on the Graham Center lawns. Representatives from Miami-Dade Fire Rescue, the Red Cross, FIUPD and the Department of Environmental Health & Safety were on hand to answer questions. Jadelyn Puig, a junior English major who attended the event, was grateful for the opportunity to learn the life-saving techniques right on campus. Students and staff learn the basics of CCC and AED. 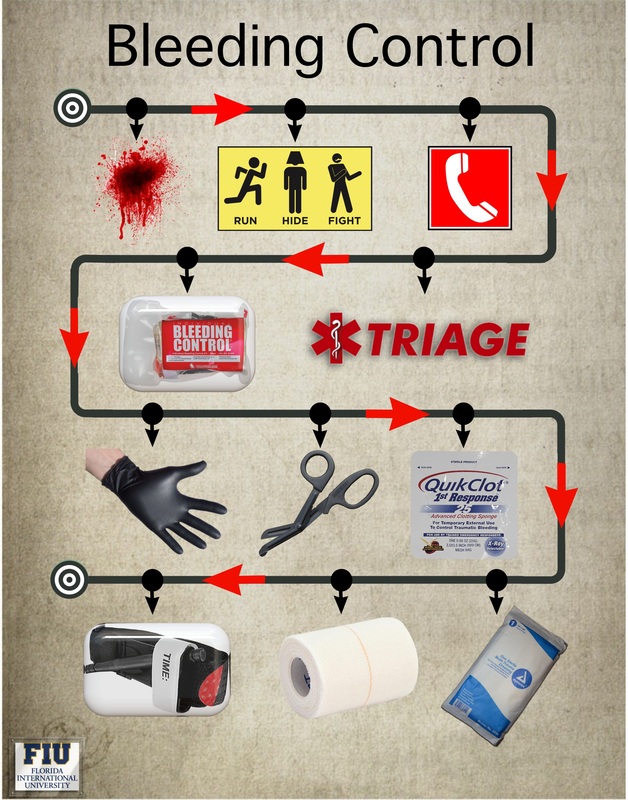 Emergencies don’t just happen at school; they could happen anywhere at any time. So the effort is necessary to keep our FIU family, as well as the greater community, safe, Almaguer said.